Enyo is an handwritten typeface created by Julia Martinez Diana and published by Antipixel that offer you Open Type Features and is ideal for display, text, headline etc. With its large glyph coverage, Enyo is great for heavy usage when you need a stylish slab serif. 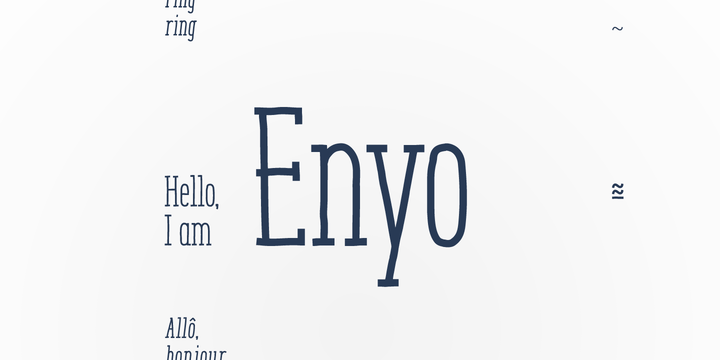 Check it out, Enyo just looks beautiful! A font description published on Thursday, May 15th, 2014 in Antipixel, Fonts, Julia Martinez Diana by Alexandra that has 3,492 views.